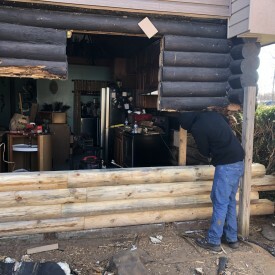 888-LOG-GUYS is your one place to get all of these amazing services: log home restoration, log home repair, log home chinking and caulking, log home improvement, and log home maintenance. It is not just what we do but HOW we do it. We work with the best products for every project and in the most professional manner. 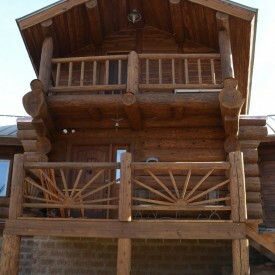 We know you are looking for knowledge and experience in your log home company. Choose us, and you will never have to choose another one again! What is it you are interested in? Media blasting? Sanding? Borate treatment? Energy seal? Staining? Or how about all of the above? 888-LOG-GUYS has you covered! We can provide all of those services in one package or just a few as needed. 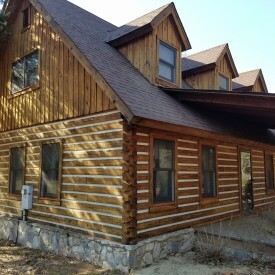 Call our estimators or request a quote online to discuss what it is you need to have done to restore your log home or log cabin to its original beauty. Our crew is servicing your ( ) TN area and our schedule is filling fast, so don’t wait any longer to contact us! 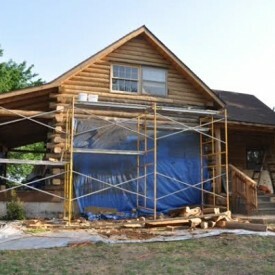 Don’t think your home is beyond repair yet! Let 888-LOG-GUYS look at it and discuss with you the best solution with a free estimate. Whether it is rot, insect infestation, or birds pecking holes in your logs, our GUYS have got your back! Our crew has repaired and replaced many feet of logs for over 15 years! We will use our knowledge and expertise to make your home feel safe and secure for you and your family! Get rid of those gaps between your logs! 888-LOG-GUYS can apply an energy seal (chinking or caulking) to to your log home or log cabin, keeping air drafts, water leaks, and pesky bugs out of your home. An energy seal will save you time and money keeping your home cozy and comfortable. Call us or request an estimate from our website! Our estimators are ready to help you! 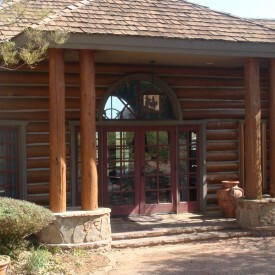 Do you have any ideas on how to improve your log home or log cabin? Whether it is a new deck or porch, log railings, or log staircase, we can build it for you! Let us help you increase the value and functionality of your home! If you call us soon, we can schedule a time to build your dreams to reality. Contact us today! There is no limit to what we can do for you in the ( ) Tennessee area! Is it that time again? Do you know if it is that time again to restore your home and keep it maintained? Let 888-LOG-GUYS figure it out for you! 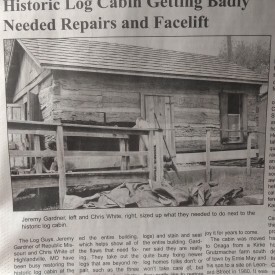 Our staff is equipped to keep track of when your log home or log cabin is due for maintenance work. 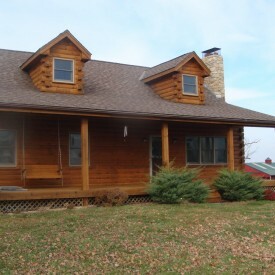 We know how important it is to make sure your log home stay is superb condition. It keeps costs minimal for you and reduces your stress when it comes to taking care of your home. Don’t wait! Call now or request a quote online!